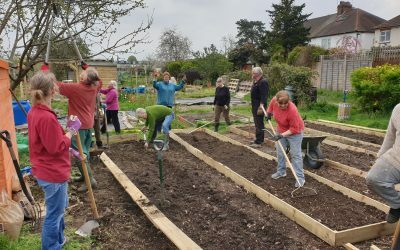 A big thank you to all who turned up on the 6th of April to finish the ‘try-out’ beds on plot 1B. 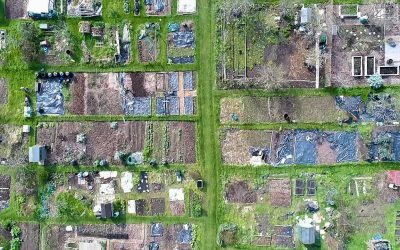 Haslemere Allotments has been granted ‘Asset of Community Value’ status. 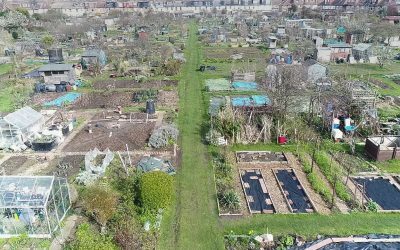 Have you ever wondered what the allotments look like from above? Click here to enjoy a video. The oldest apple tree in the Borough? 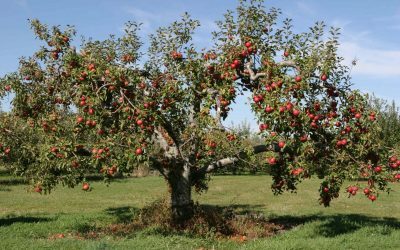 There’s a very old apple tree on the allotment and in the autumn we asked tree expert Paul Richens to take a look and estimate its age. All plot holders are invited to the Annual General Meeting to be held on Sunday, 24 March 2019. 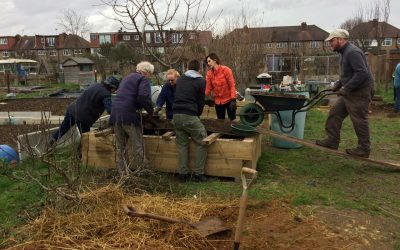 A massive thank you to all who turned up to help on the first work day of 2019. 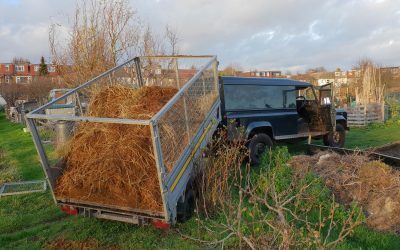 Vinka very kindly organised delivery of manure and compost for the site in December for which there was high demand. 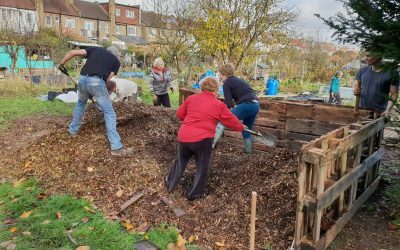 A big thank you to all who turned up on the 10th of November to continue the work improving our communal plots. 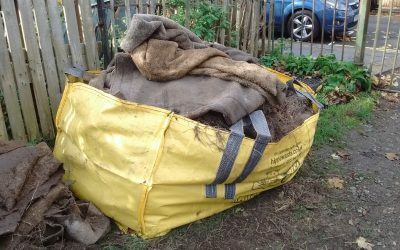 The first ‘Chuck Out Your Carpets’ day on 10th November was a big success. Thank you to all who ‘chucked’!